Moose Monday – Golf Time! It is a tad on the side cold in Alaska right now as I sit in Indiana enjoying a beautiful Fall day. Seriously, I haven’t worn a hoodie in a few days and not sure what to do with myself! My friends in Arizona are coming out of their summer hibernation and are ready to enjoy the wonderful weather that Arizona is known for. That’s why I thought it was only fitting that Moose Monday celebrates a lot of my friends favorite past times – Golf! 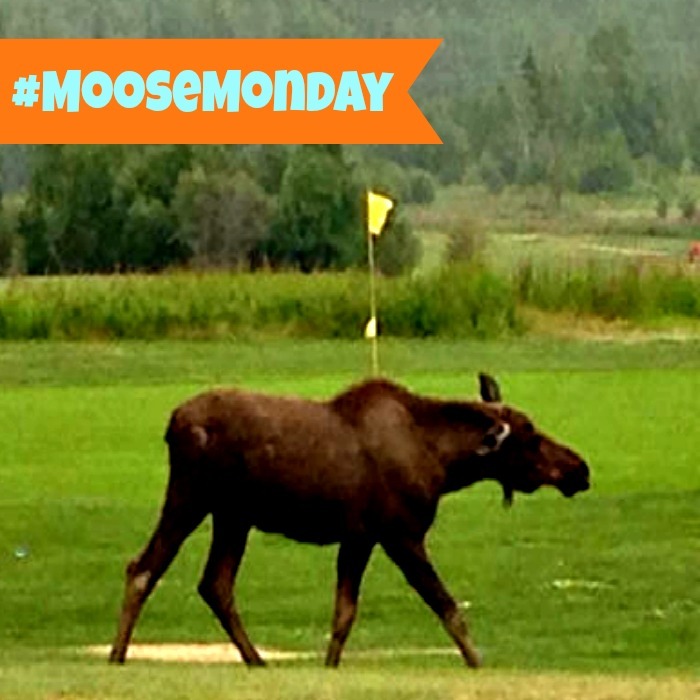 This big ‘ol Moose just shot a Par 3 Course and was ready for the 19th Hole! He’s pretty smart if you ask me! « Talk Tuesday: When Are You Getting Married?